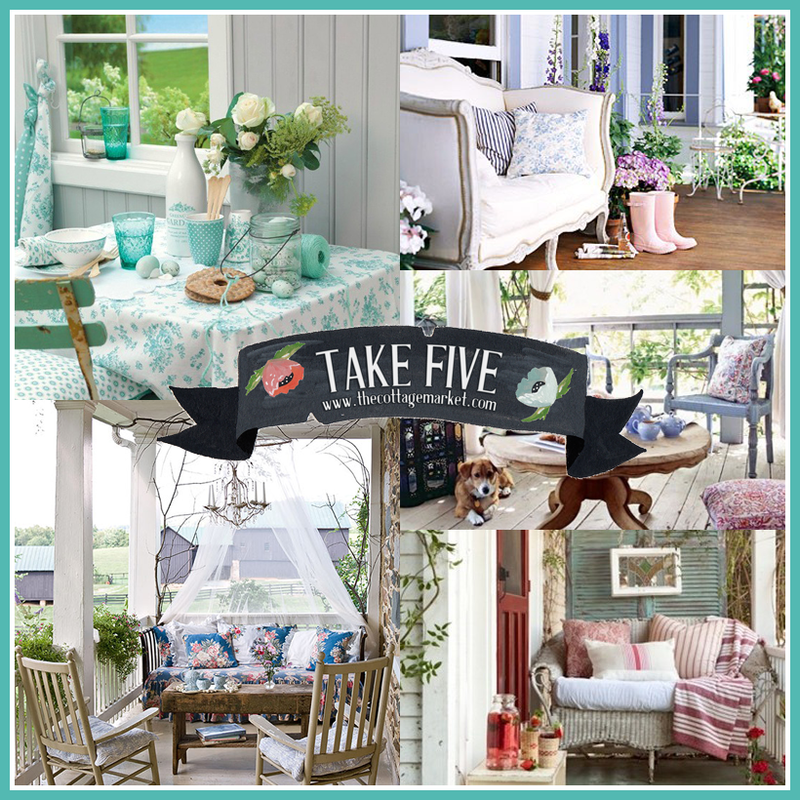 five that have that cottage style and flair. What I LOVE about them is that they are understated but oh so precious! 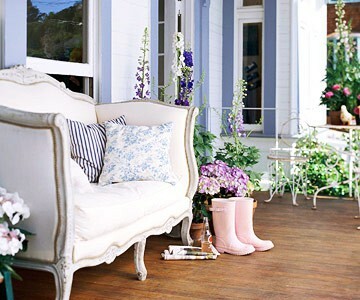 It doesn’t have to cost a fortune to have a fabulous porch. Let’s take a look. Oh for the love of aqua! How wonderful is this simple porch setting…a table…a few vintage chairs and your favorite items and in an instant you have a cozy spot…ah yes…you can’t go wrong with fresh flowers! 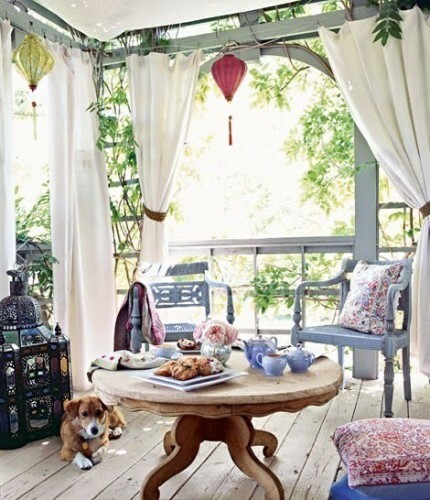 What a sweet spot…a simple couch…chairs…coffee table and a cool little chandy you have a magical cottage porch. Many of the items you can find at Good Will or garage sales…add your special touches and you can have a beauty like this one without the astronomical cost of a patio suite. Oh what a little imagination can do! 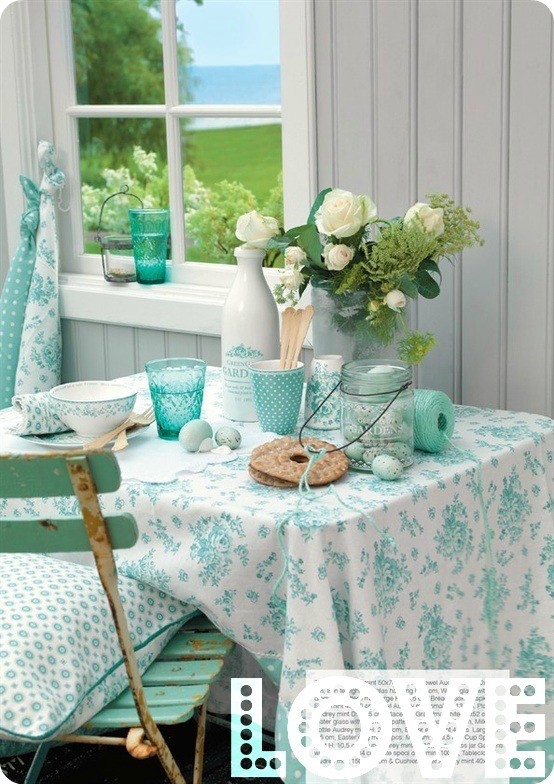 This covered porch is simply charming…you probably have all the makings to this set-up in your own home! The Japanese lanterns add just the right about of kitchy! Oh and I think it is a must to have a cutie-pie doggie on the porch too. 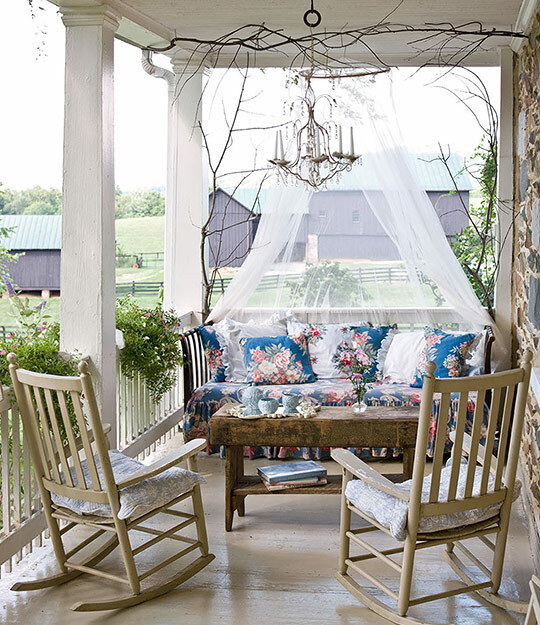 Here is another porch that has tons of cottage quaintness. 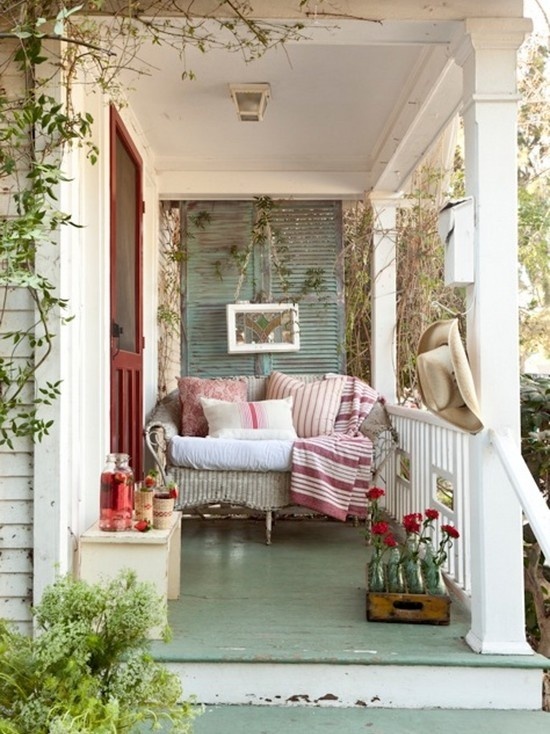 The chippy painted floor…the vintage crate with green soda bottles and flowers…a simple bench and a vintage wicker love seat with pretty linens and pillows…how inviting and friendly can you possibly get and really easy to achieve. « 4 Easy Crafts and one is for DAD! oh, look at that settee–love it! I hear you Lynn…the settee is to die for isn’t it!!! It is soooooooooooooooooooooooooooooo you!!!! hugs and hope you are feeling great!